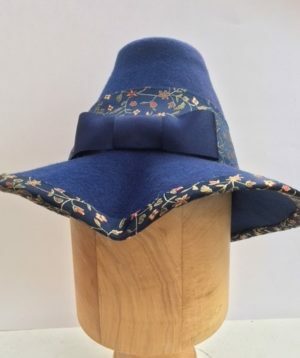 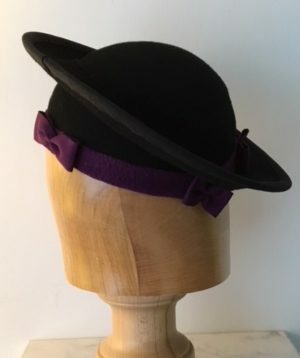 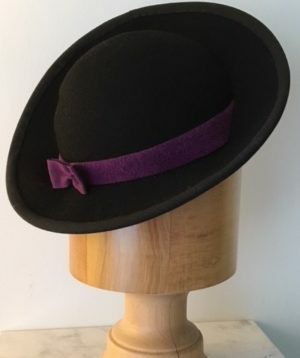 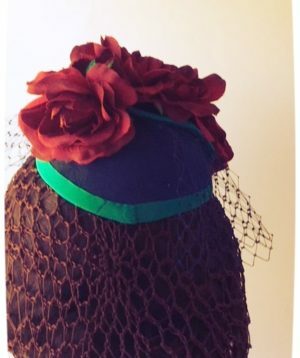 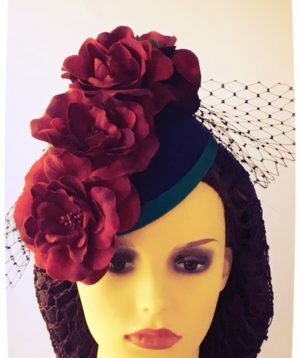 A very popular 1940’s style of hat with an upturned brim at rear. 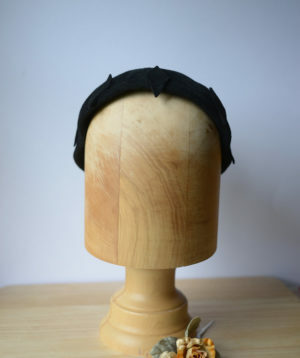 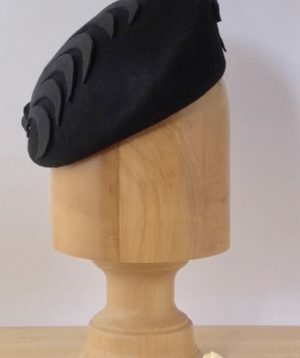 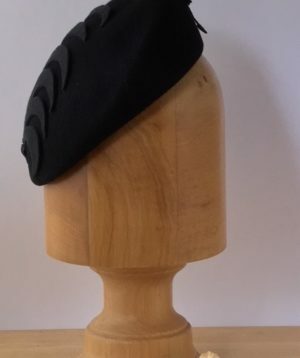 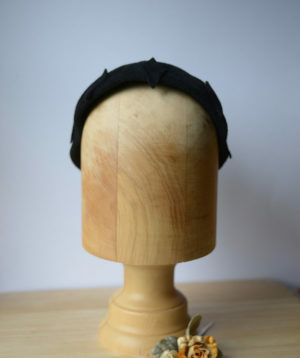 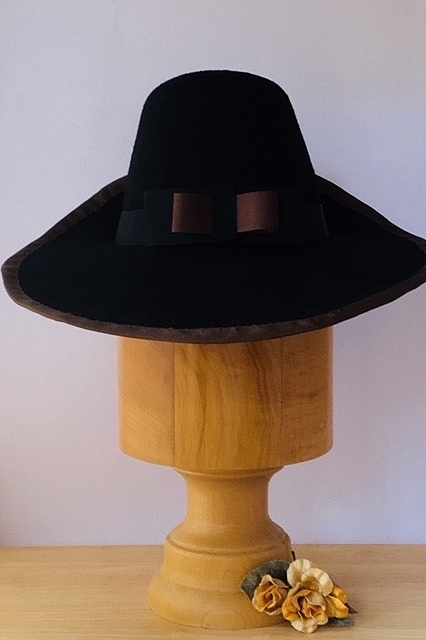 Hat is in black felt with a stiffened crown lined with double stiffened buckram and signature Minivers Vintage lining. 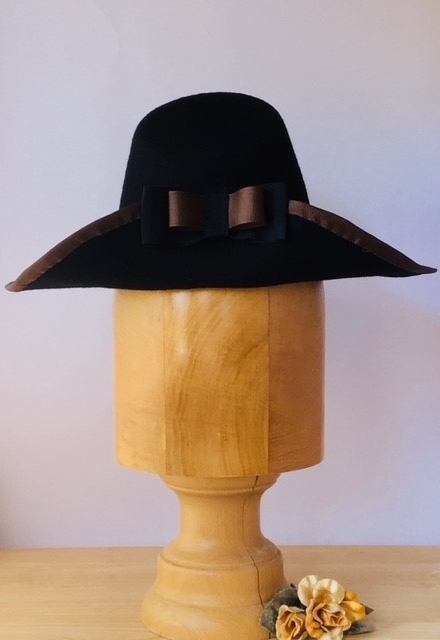 hat is adorned with a black grosgrain ribbon on crown with black and brown bow to front rear. 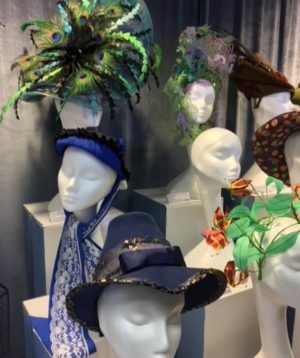 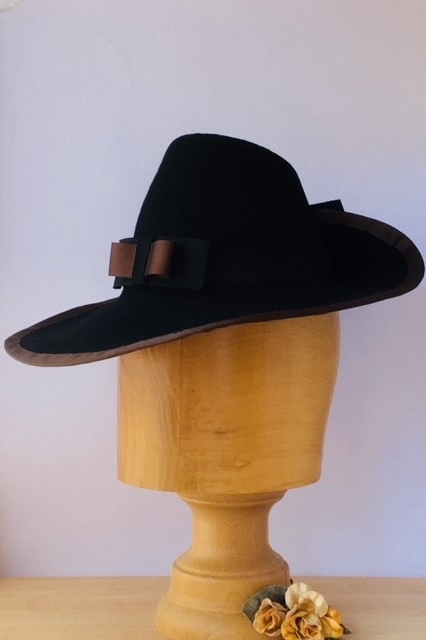 Hat brim is finished and wired with a softer wire for personal shaping preference and covered with a brown petersham ribbon.